It's so easy to get caught up in your everyday routine and wanting what we see on an everyday basis...We are constantly getting shown celebrities on social media and people buying amazing things or living in amazing places. We complain that we don't have these things and slowly start complaining about all the little things in life. But is that really what's important? Personally, I wanted to get out of this as quickly as I could! I wanted to change my mind set on certain things and start to think about more important issues and realise that what I've got right now is so much more than others in the world. Today I wanted to talk to you about everyday things that we often complain about and hopefully get you thinking about your life and putting everything into perspective. Once you change your mind set on certain things, it can make everything just that little bit happier. 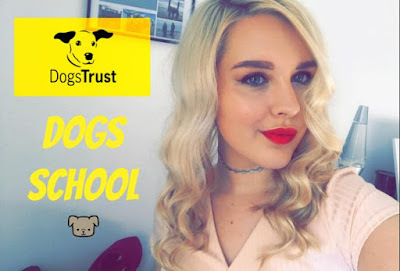 Today I wanted to share with you something really exciting that's happening with Dogs Trust! They have brought out a new campaign and I just think the whole idea is amazing, so I had to write a blog post! Introducing...Dogs Trust Dog School! As a lot of you will probably know, taking care of a dog is a lot of hard work and takes a lot of time and effort. There are some dogs who are easier than expected but some may have some behaviour problems, which is completely normal! Dogs Trust have come up with an amazing idea to try and reduce the amount of people wanting to give up dogs because they don't believe that they can look after them and train them...Dog School! Today I wanted to share with you my current skincare routine as I finally feel like I'm happy with all the products that I'm using! 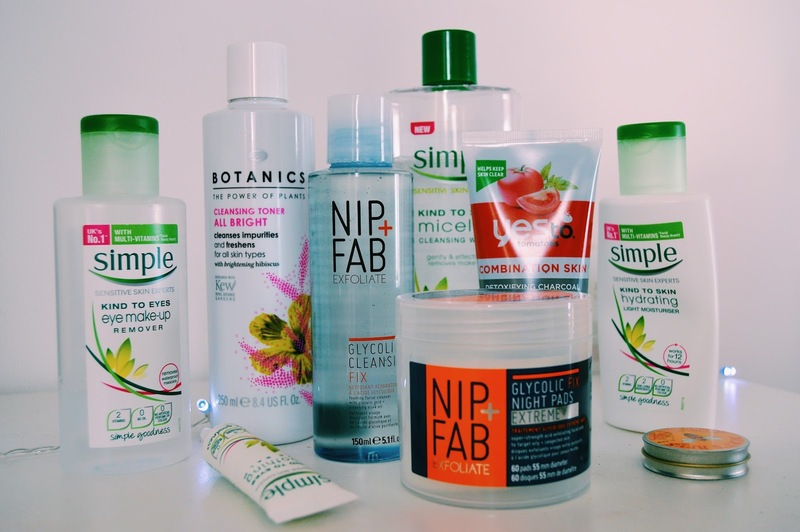 These products are all affordable and easy to get hold of so I think a lot of you will find this post useful! I am going to be discussing my everyday skincare products and also a few products that I use a few times a week. Today I'm only going to be showing you the products that I use on my face but there will be another post coming very soon showing you some more skincare products that I love! A few years ago, the only skincare product that I would use were face wipes and that's it! But ever since I started watching YouTube videos and reading blog posts...I now understand how important it is to look after your skin! Over the past few years I have tested out loads of products to see which ones work for me and also introduced new types of products into my routine as well. If you have never used anything before, then it can be quite a big thing setting up a skincare routine! What is a toner? Should I use moisturiser if I have oily skin? Are makeup wipes bad for your skin? All of these questions are normal! If you are unsure about anything, watch some YouTube videos or read some blog posts...trust me it will help out so much more than you think! 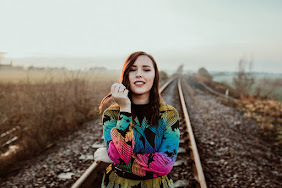 Hopefully I will also be able to give you a few tips in today's post too! 1. The biggest skincare craze! "A year from now, you will have wished you started today." 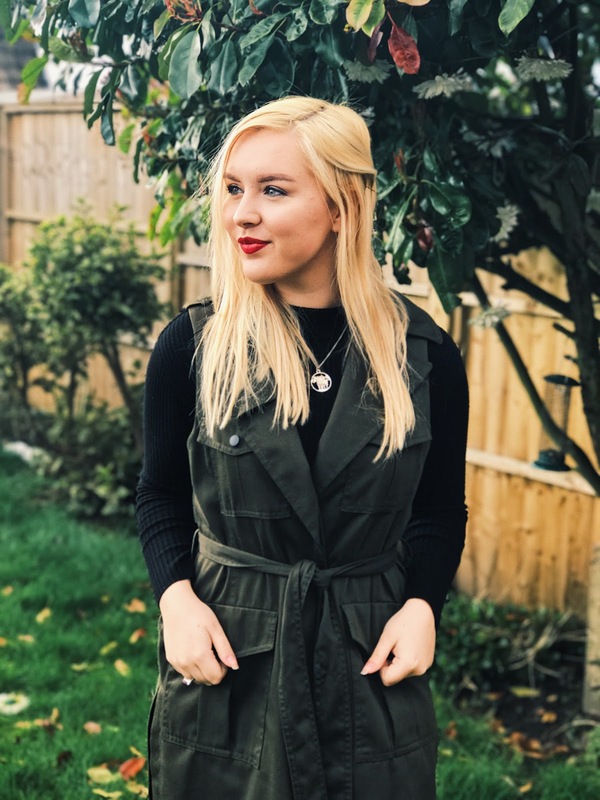 Today I wanted to talk about my ambitions for this year and hopefully persuade some of you to get going and start making your dreams a reality! It's so easy to get caught up in an everyday routine and everyone often leaves their bucket list to...well, a list! Why not start planning these trips, joining that class, save up to buy that dream camera or whatever your goal might be! For as long as I can remember, I've always wanted to get out there and see the world. There are so many beautiful places and I have always known that I never want to stay in just one place. I have wanted to travel forever but it's always just been something I've spoke about and not actually done. But this year, I'm actually doing some travelling! It's only going to be for 3 months but it's a really great start and I couldn't be more excited! I am doing mainly Europe and the list of locations is very long! The route is set, the first flight is booked along with the first few months of travel! It's all happening very soon and I am over the moon.